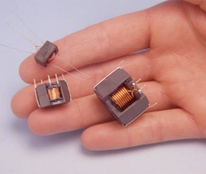 Inductors, chokes and reactors – already produced for a wide variety of customers, please get in touch to discuss your requirements. 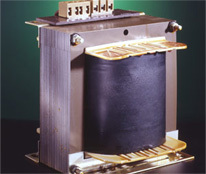 Hotel Transformer – UK to US “Silent” transformer. Excellent for mounting in hotels, or similar construction, where noise is a key concern and a US supply is required. Jumpstarta – A mains fed battery jump-starter, ideal for battery reliant machinery, such as tractors. Unique design, highly reliable (many in service over 30 years), comes with a trickle charge feature. Battery Charger – Our range of battery chargers are capable of handling from 12-48v and 15-60A. Built in the UK with a 2 year warranty, we are capable of meeting the demands and needs of a customer to build the exact charger they need. 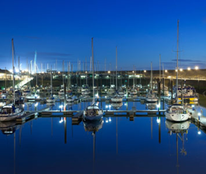 Caravans – Our Powerbox range is popular and effective. Used to charge or power your caravan, they are ideal for pumps, lights, TVs, etc while being rugged and long lasting. 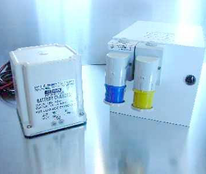 Din Rail Mounted – A range of transformers ideal for control requirements, enclosed in finger safe containers and able to be mounted on DIN Rail for easy fixing. “G” Range – Our general purpose, single phase range. We hold stock of a variety of transformers designed to use with more common requirements, such as 415v to 230v, 230v to 110v or either 415v/230v to 24v across a range of power requirements up to 6kW. Control Panel Transformer – Our experience in this field has led us to be a key supplier of Control Panel Transformers to many customers over the years, everything from rail to radar. Meeting your requirements could be either from one of our existing designs, or specific to your needs. Site Transformer – We produce site transformers up-to and including 10KvA Continuous rating with customisable socket ranges to suit your needs. Portable Tool Transformers – ranging from 750W to 3.3KW, we manufacture a quality, well-priced product that will outlast most current ranges, as well as be resistant to all of the rough treatment that they will receive. Bespoke design – Our main work comes from offering reliable, well-engineered solutions to your design needs. Built to meet the specification you require, with advice where needed to assist you in solving your transformer/inductor problems. 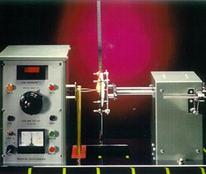 Repair and calibration – We often repair or calibrate other people’s equipment. If you need a calibration or repair on any product, contact us to arrange an inspection of the goods at our factory. 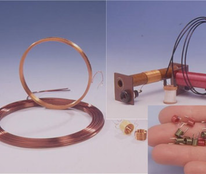 Coil Winding – We can wind coils, of varying sizes, from one-offs to large production batches to a high standard. R&D – We have an in-house design service and are happy to undertake co-operative development work to support your product design and development. We currently work with several companies and educational facilities to this effect. Enclosed and Encapsulated Transformer – We can enclose or encapsulate most of our standard products as well as products to order.